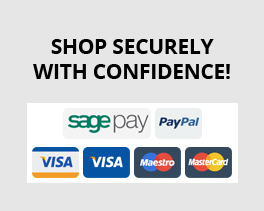 Pemberton Gold Small Cloakroom Combination Basin And Toilet Unit 1100mm Wide Buy Online At Bathroom City! 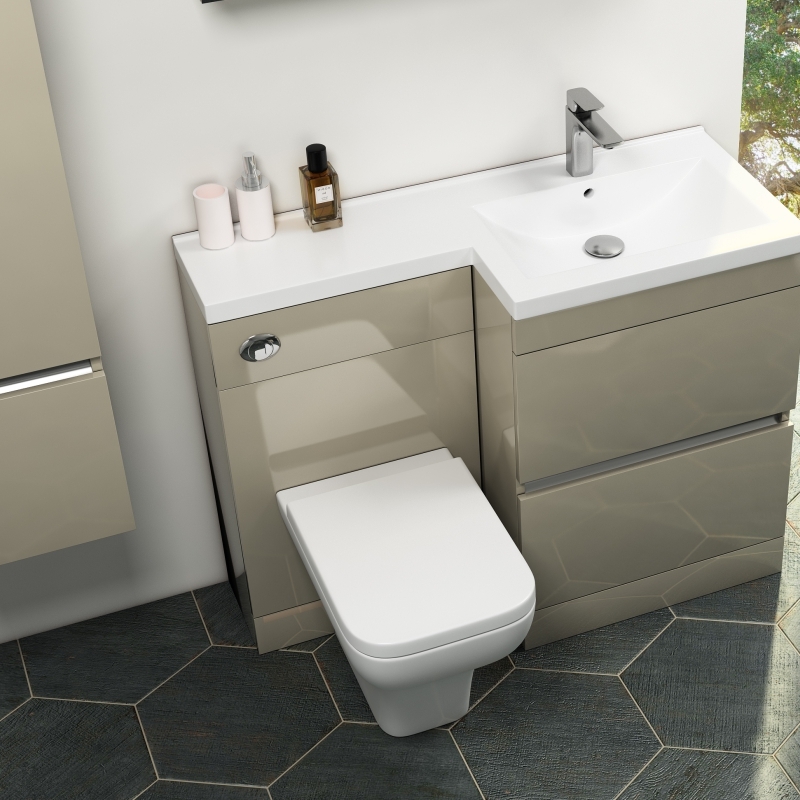 This Pemberton cloakroom unit combines sink, storage and toilet without wasting an inch of precious bathroom space. 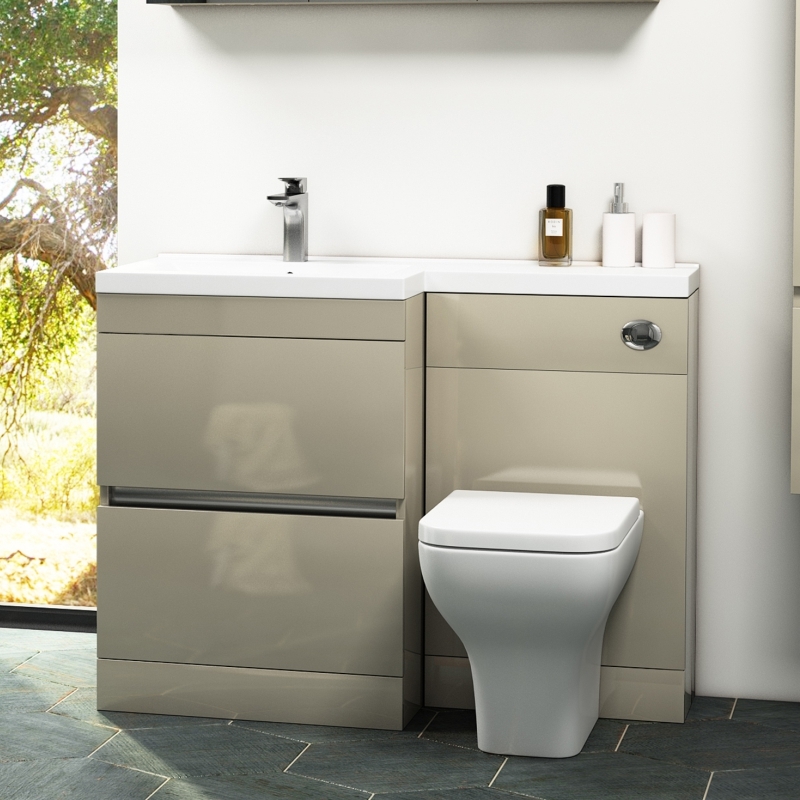 Behind the cashmere-gold glossy acrylic-capped MDF paneling sits, on one side, the eco friendly dual-flush cistern, and on the other, two spacious 510mm wide drawers which are handless and soft-close. 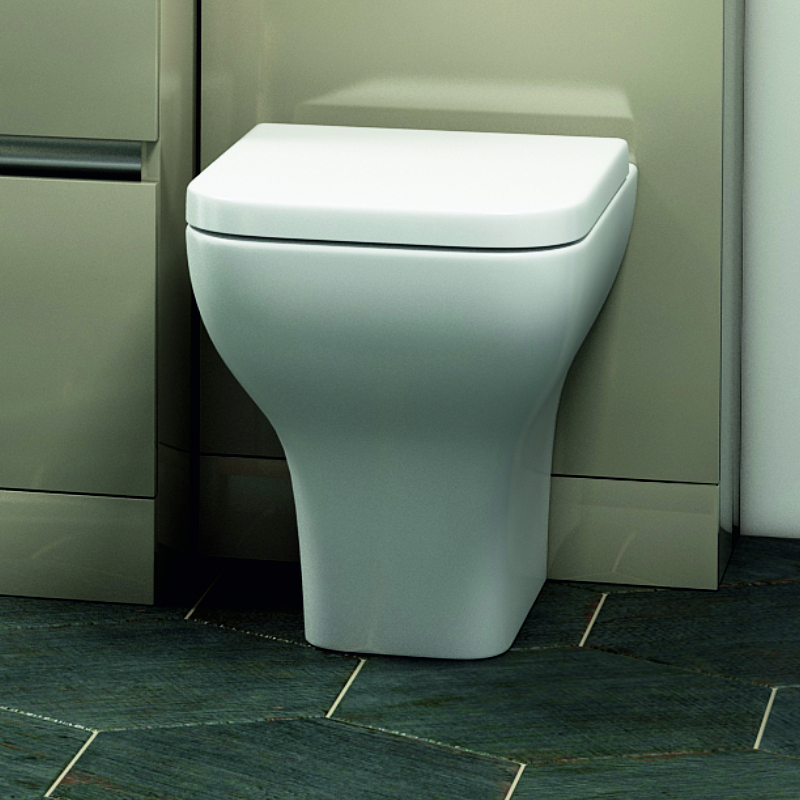 Fitting neatly on top is the 1100mm wide ceramic white basin which extends seamlessly over the toilet unit. This masterclass in economical contemporary design adds value to both smaller and less compact bathroom spaces.